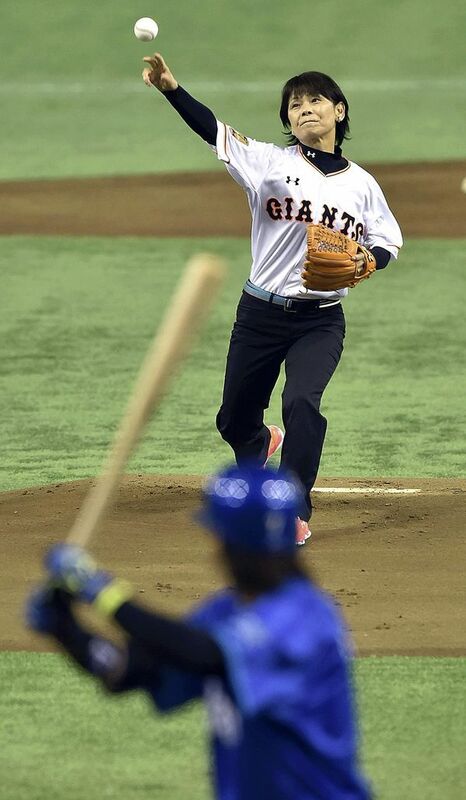 Former national softball team manager Taeko Utsugi, Executive Committee member of World Baseball Softball Confederation, threw the ceremonial first pitch at Tokyo Dome on Friday, March 20, 2015 before the season opener between the Tokyo Yomiuri Giants and the Yokohama DeNA BayStars. Both the Central and Pacific leagues opened play with night games. 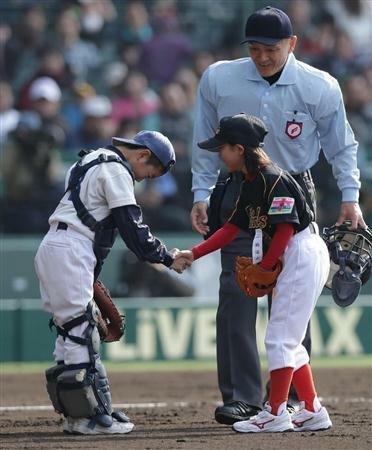 On the following day, March 21, (Ms.) Mirai Shibata (8) 3rd grade of Iwaoka Primary School in Kobe threw out the ceremonial first pitch to Yuki Yamanishi (9) 4th grader of Kusakari Primary School in Osaka before the game between Imabari Nishi and Osaka Toin High Schools at the 87th National High School Baseball Invitational Tournament in Koshien, Nishinomiya. Being a catcher of Little League, Yuki trained hard to receive softball in advance and was glad to secure Mirai’s strike right down the middle. At the ball games of professional leagues as well as high schools in Koshien, a VIDEO to support adding Baseball and Softball to Tokyo 2020 Olympic Games is screened before the start of the game and during the grand-keeping after the 5th inning. Nippon Professional Baseball (NPB), Baseball Federation of Japan (BFJ) and Japan Softball Association (JSA) jointly produced the video which features tossing of a ball by 32 cerebrities starting with legendary Nagashima, Oh, Matsui, followed by other big names including an astronaut, TV and film stars in Japan. You can watch the video on the front page of the BFJ’s website.